Is Viacom, Inc. (NASDAQ:VIAB) a good investment right now? We check hedge fund and billionaire investor sentiment before delving into hours of research. Hedge funds spend millions of dollars on Ivy League graduates, expert networks, and get tips from investment bankers and industry insiders. Sure they sometimes fail miserably but historically their consensus stock picks outperformed the market after adjusting for known risk factors. Viacom, Inc. (NASDAQ:VIAB) investors should pay attention to an increase in hedge fund interest in recent months. VIAB was in 37 hedge funds’ portfolios at the end of December. 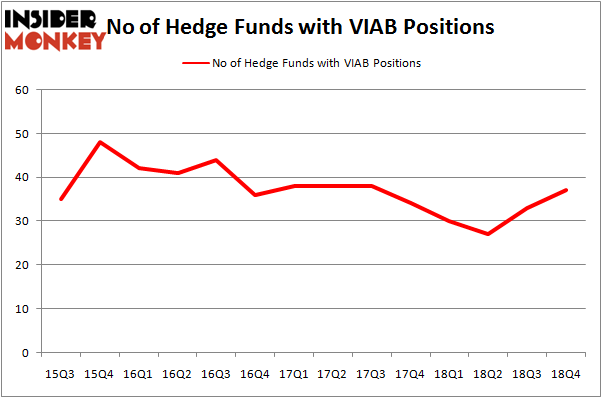 There were 33 hedge funds in our database with VIAB holdings at the end of the previous quarter. Our calculations also showed that VIAB isn’t among the 30 most popular stocks among hedge funds. In today’s marketplace there are plenty of signals stock traders employ to analyze their stock investments. A pair of the most under-the-radar signals are hedge fund and insider trading moves. Our researchers have shown that, historically, those who follow the top picks of the elite investment managers can trounce the market by a significant amount (see the details here). 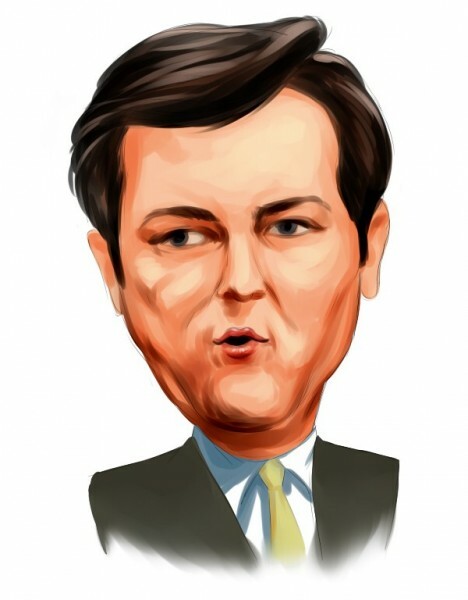 We’re going to take a gander at the key hedge fund action regarding Viacom, Inc. (NASDAQ:VIAB). How have hedgies been trading Viacom, Inc. (NASDAQ:VIAB)? Heading into the first quarter of 2019, a total of 37 of the hedge funds tracked by Insider Monkey were long this stock, a change of 12% from one quarter earlier. Below, you can check out the change in hedge fund sentiment towards VIAB over the last 14 quarters. With the smart money’s capital changing hands, there exists an “upper tier” of noteworthy hedge fund managers who were boosting their holdings meaningfully (or already accumulated large positions). The largest stake in Viacom, Inc. (NASDAQ:VIAB) was held by AQR Capital Management, which reported holding $195.4 million worth of stock at the end of September. It was followed by Ariel Investments with a $95.1 million position. Other investors bullish on the company included GAMCO Investors, Arrowstreet Capital, and GLG Partners. Consequently, some big names have jumped into Viacom, Inc. (NASDAQ:VIAB) headfirst. Arrowstreet Capital, managed by Peter Rathjens, Bruce Clarke and John Campbell, initiated the largest position in Viacom, Inc. (NASDAQ:VIAB). Arrowstreet Capital had $43.2 million invested in the company at the end of the quarter. Ryan Caldwell’s Chiron Investment Management also made a $25.9 million investment in the stock during the quarter. The following funds were also among the new VIAB investors: Paul Marshall and Ian Wace’s Marshall Wace LLP, David Costen Haley’s HBK Investments, and Lee Ainslie’s Maverick Capital. Let’s also examine hedge fund activity in other stocks – not necessarily in the same industry as Viacom, Inc. (NASDAQ:VIAB) but similarly valued. These stocks are Yandex NV (NASDAQ:YNDX), HollyFrontier Corporation (NYSE:HFC), Everest Re Group Ltd (NYSE:RE), and TechnipFMC plc (NYSE:FTI). This group of stocks’ market valuations are closest to VIAB’s market valuation. As you can see these stocks had an average of 24 hedge funds with bullish positions and the average amount invested in these stocks was $527 million. That figure was $690 million in VIAB’s case. Everest Re Group Ltd (NYSE:RE) is the most popular stock in this table. On the other hand TechnipFMC plc (NYSE:FTI) is the least popular one with only 21 bullish hedge fund positions. Compared to these stocks Viacom, Inc. (NASDAQ:VIAB) is more popular among hedge funds. Considering that hedge funds are fond of this stock in relation to its market cap peers, it may be a good idea to analyze it in detail and potentially include it in your portfolio. Our calculations showed that the top 15 most popular stocks among hedge funds returned 21.3% through April 8th and outperformed the S&P 500 ETF (SPY) by more than 5 percentage points. Hedge funds were also right about betting on VIAB, though not to the same extent, as the stock returned 17.2% and outperformed the market as well.